​Little Star Daycare is the only Christian-based center in Altoona, WI. Little Star opened in Bethlehem Lutheran Church in October of 1993. Since then, Little Star has opened a second location at Altoona Methodist Church. Each of Little Star’s locations will provide a safe, clean, and Christian environment for your child. Little Star Daycare serves children ages 2-13 years of age. The facility is licensed for 61 children. ​Little Star Daycare 2 serves children ages 6 weeks - 24 months. The facility is licensed for 12 children. Why Should You Choose Little Star? Little Star Provides Christian values and the love of Jesus Christ within the context of our daily program and curriculum. Both locations are in close proximity and provide locked, secure entrances for the safety of the children in our care. Flexible scheduling to accommodate most work schedules: Little Star (6:30 am- 5:45 pm). Little Star 2 ( 6:30 am - 6:00 pm). 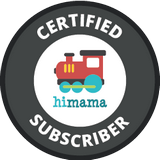 Little Star uses the Hi Mama app and software to facilitate communication with families and to give you updates on your child's day! We partner with the Altoona School District to offer your child an on-site 4-year-old kindergarten. All staff is experienced and well-trained. Teachers are lead qualified and follow the Wisconsin Model of Early Learning Standards. Little Star provides breakfast, lunch, and three snacks throughout the day. All meals are served family style and are designed to expose your child to a variety of new tastes. Children are encouraged to try new tastes and are given a variety of healthy options. Little Star 2 also provides Parents Choice formula and Gerber baby food. Parents are always welcome to come into our centers. We encourage our families to be a part of our Little Star family as well. We host many events throughout the year for our families, such as: Muffins with Moms, Doughnuts with Dads, Daycare Sundays, Annual Christmas Program, and many other opportunities throughout the year.